Hellz no it aint racist. 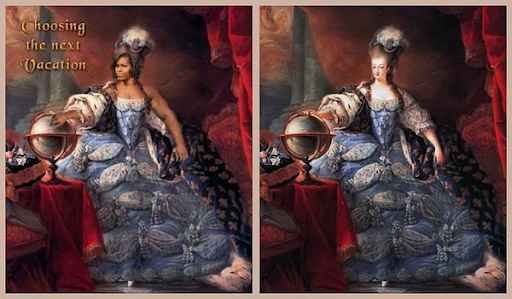 Marie Antoinette is just the image for Mee-chelle. The only thing inaccurate is that Marie Antoinette didn't hate France.